September 6th 2011 marked the official launch of the 2012 BMW 1 Series in the Netherlands and BMWBLOG was on the scene to bring you fresh pictures and first driving impressions. 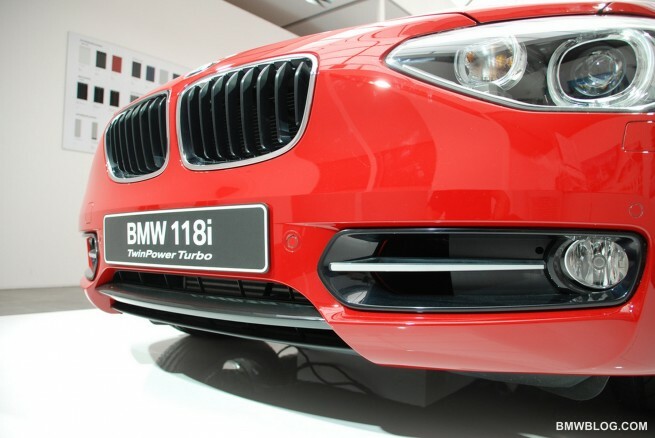 We got the opportunity to test drive 2 of the 5 models that were on hand: specifically, the 118d and 116i. BMW Netherlands setup what they called the BMW Pavilion next to the Institute for Sound and Vision in Hilversum, the Netherlands. 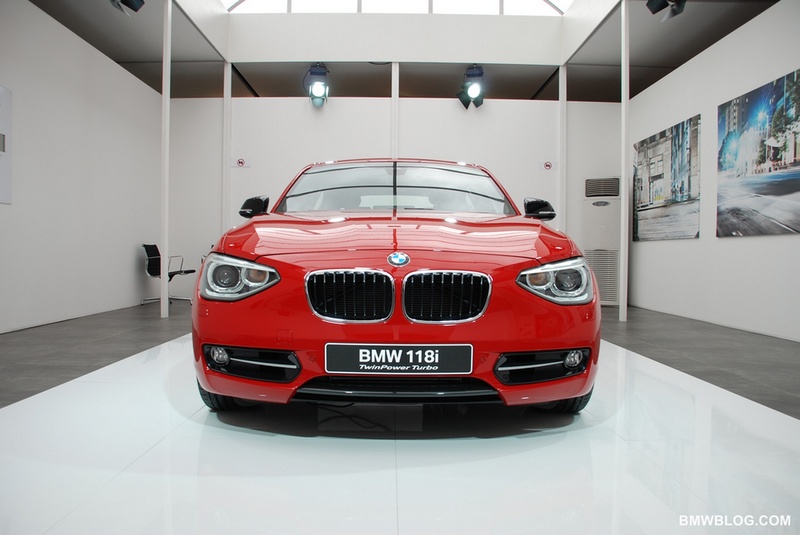 For 2 weeks customers and fans of the brand could preview the new 1 Series. From this event alone, over 5,000 people have already indicated interest in the new model. 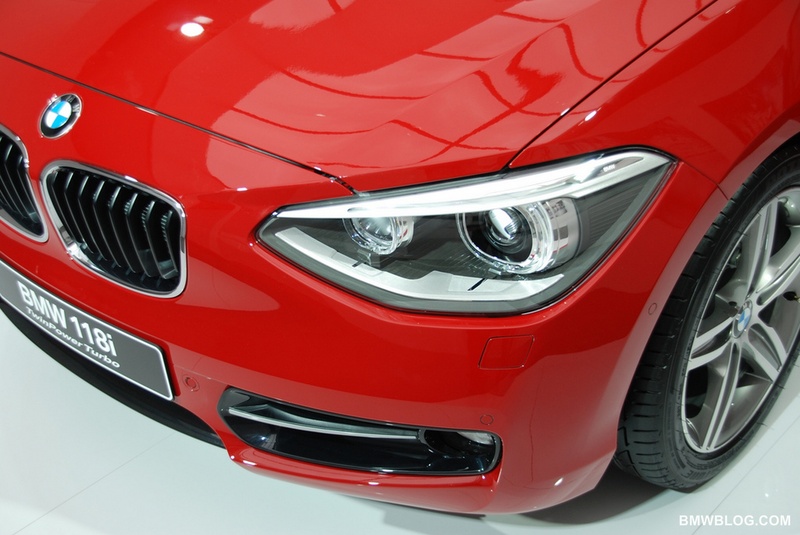 During its official unveiling in Berlin just a short while ago, the 2012 1 Series was received with mixed feelings, with most objections being directed towards the exterior styling. I have to admit, I was also a bit hesitant at first. The frontal area was a bit of a concern for me, however, upon arriving at the BMW Pavilion, that all changed. Walking up to the first of three brand new 1 Series, I was pleasantly surprised at what I saw. Its been said before, but the new F20 looks a lot better in reality than it does in pictures. With all that said, some people still feel that the front and rear sections of the car remain problem areas as far as design goes. Oversized headlights and smaller than expected kidney grills are a few of the concerns that stand out as well as the unused space that these two elements create. 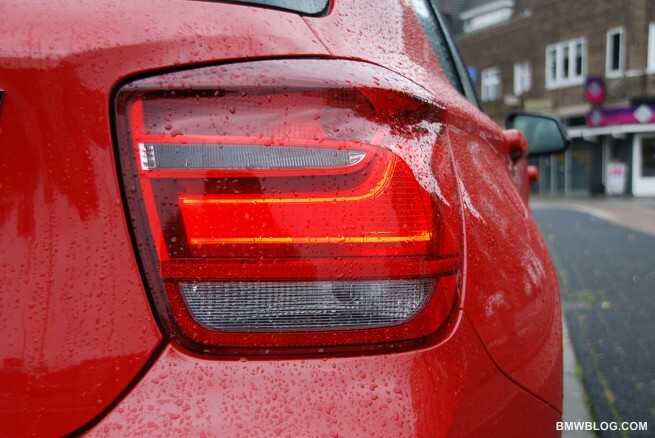 Additionally, the rear brake lights were also criticized as looking too VW Polo-like in their design. I personally did not get this impression. The front just works, regardless of what your eye is telling you when you look at the pictures. 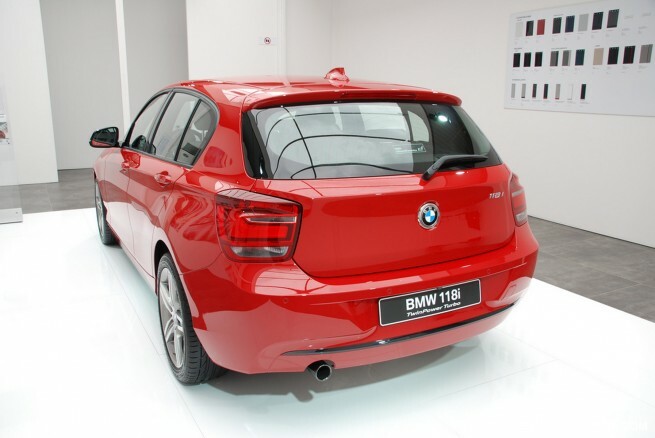 The rear is also better looking when viewed in “the sheet metal.” As our Editor-in-Chief quoted in an earlier article on the F20, “Beauty is in the eye of the beholder.” I recommend you see the new 1 Series for yourself, in person, before you pass judgment. 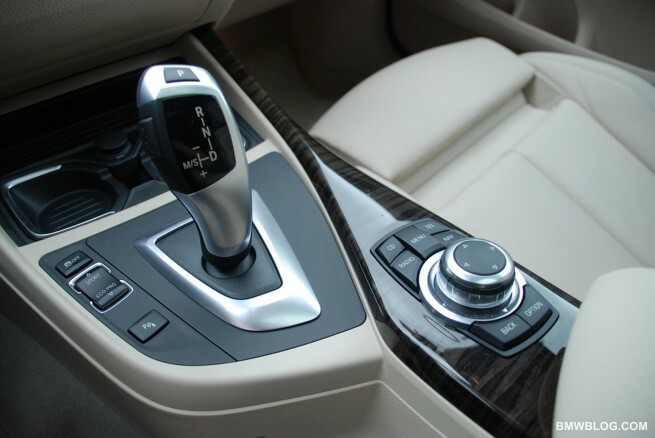 Moving on to the interior, there are several trim options, from the Base to the Urban, and on to the Sport line. Regardless of what engine option or trim you select, the interior is top notch and a definite improvement over the previous generation. Whatever you touch, be it plastic, leather or the like, it all has a premium feel to it. The cockpit is more driver oriented, with the whole dash area slightly tilted towards the driver, just like the BMW’s of yore (E36/46/39). The front cabin isn’t spacious, but it isn’t cramped either. It strikes a good balance between the two and feels “just right” especially from the driver’s seat. The rear seating is another story however. Even though the F20 is larger than its predecessor, I discovered the rear seating of the car to be small and even cramped as far as leg room was concerned. 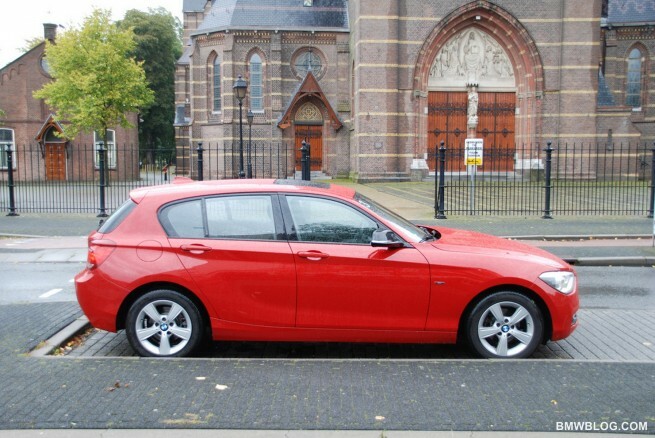 Some might say that it’s to be expected since the 1 Series is a compact, but for someone that’s 5’7” that’s saying something. Additionally, the rear headrests and seat cushions themselves felt rather hard and not very accommodating. On longer journeys, rear passengers might be less than comfortable. Let’s remind ourselves this is a premium compact. 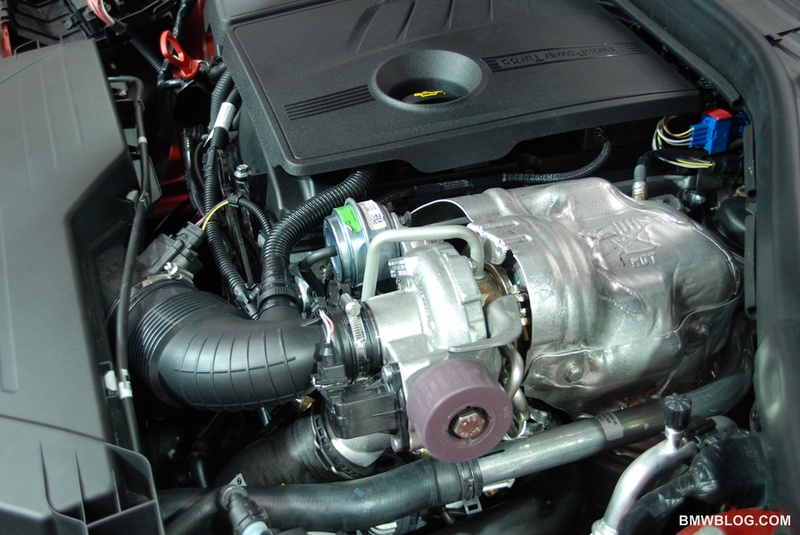 ECO PRO: Optimized to increase fuel economy by monitoring many different parameters and settings ranging from A/C to adjusting throttle response and early up-shift mapping for the transmission. 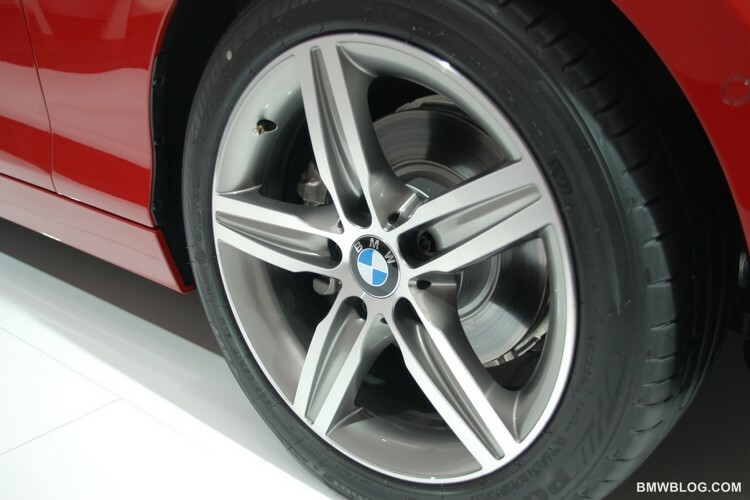 COMFORT: Softer suspension setup with more damping taking place as well as earlier up-shifts. Steering is also more assisted requiring less effort from the driver. I found this mode ideal for highway and city driving since it makes for a smoother drive. Essentially ECO PRO but less concentrated. 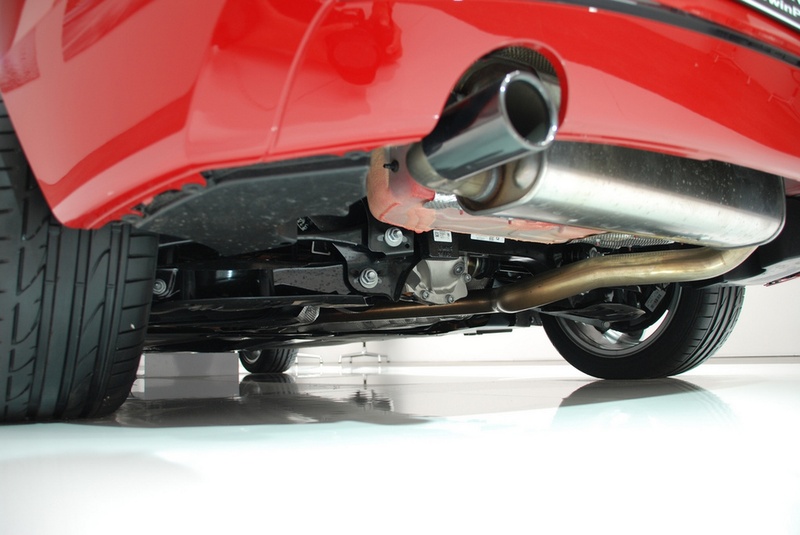 SPORT: Stiffer suspension setup with more damping taking place. Steering assist is reduced. Throttle response is also adjusted and the system keeps you in a lower gear for a longer period of time before it up-shifts. This mode is for the driver in all of us. The more weighted steering coupled with the more connected feeling you get from the suspension communicating more information to you as well as the sportier transmission maps, make this the ideal back-road mode for those spirited driving moments we get every now and then. SPORT PLUS: This mode takes the aforementioned mode and kicks it up a notch. 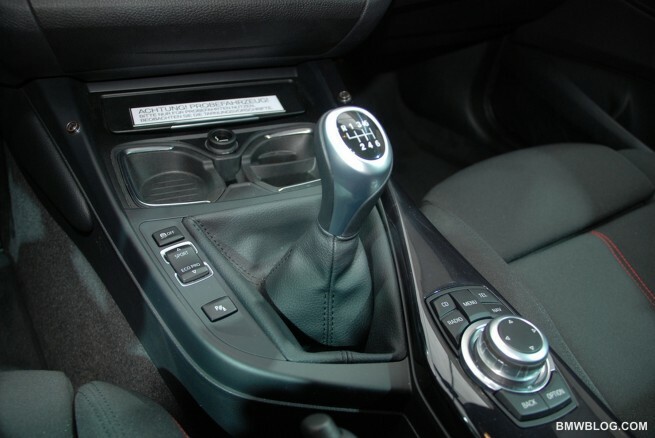 The transmission maps are aggressive, keeping you well above 4 or 5 thousand rpm if you so wish, without any up-shifts. Steering is more raw and the suspension allows you to feel just about everything that’s rushing underneath you. Don’t expect your MPG to match those of the ECO PRO mode, however. One thing that I would like to make clear is that this is no gimmick. Even though the new 1 Series isn’t marketed as the new F10 M5 as having a “split personality” it really does a great job of varying the experience between economy and sporty driving. The steering changes, and by a margin which can actually be felt. Purists will disagree with the electric steering, but the end result justifies the implementation in my opinion. Same goes for the transmission and suspension setup; great job on this front. As for the Glacier Silver 116i we drove, it is identical exterior and interior-wise, with the only difference being the engine. The 1.6 petrol was lively, and of course lacked the diesel tone which allowed for a bit more turbo whine to be heard. It felt slower than the 118d diesel even though the figures show the petrol quicker from 0-100 km/h. This is probably down to the torque. However, it’s no slouch by any means. Not much time was spent in the 116i since we expect the diesel versions to sell better than the petrol variants in the Netherlands. Correction from BMW NL: The ‘bijtelling’ only counts for Dutch who drive the car for businesses. So for lease cars. Additionally, all 5 engine options qualify for the 20% “Bijtelling” tax reduction which is an “additional tax liability” that all Dutch drivers must pay per month. This of course will be welcome news to all Dutch drivers since the Netherlands is notorious for its high automotive taxes. 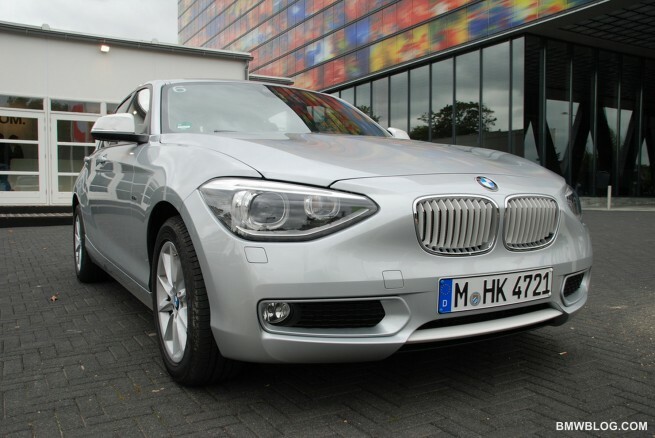 Overall, the new 2012 1 Series is a nice, well-equipped premium compact car with a great list of standard features. Excellent fuel economy will appeal to customers as will the interesting tax incentives that the Netherlands has to offer any potential 1 Series buyer. If rear legroom on longer journeys is not one of your top priorities, then new BMW F20 1 Series is definitely worth a look.